Westfield has begun construction on a new residential development adjacent to its $600 million revitalisation of its "Westfield UTC" precinct in California. Expected to open in 2019, the residential tower will rise to 23-storeys and include 300 units, providing luxury living options close to the mall at University Town Centre at La Jolla Village Drive and Genesee Avenue, which prior to its pending $600 million stage two development underwent an $180 million mall renovation in 2012. The San Diego Business Journal said the apartment tower will be located on Westfield UTC’s southwest corner, at the intersection of Nobel Drive and Lombard Place. It will include studio along with one-, two- and three-bedroom units, with planned pricing not yet announced. “The project includes a landscaped, half-acre pool and amenity deck with a junior Olympic-size pool and spa, outdoor kitchens, grills, cabanas, lounges and fire pits,” they said. “There will be a high-end “sky lounge” on the 23rd floor with 360-degree views of the surrounding area, along with private dining, a bar and outdoor decks. Westfield is reportedly examining opportunities to create 8,000 homes on land it currently owns across its global portfolio. Meanwhile, the Westfield UTC expansion will feature an additional 90 new shops (251,000 square feet) of first-to-market retail and high end, chef-driven restaurants and a 149,000 square foot two-level Nordstrom department store, increasing the centre by approximately 30%. 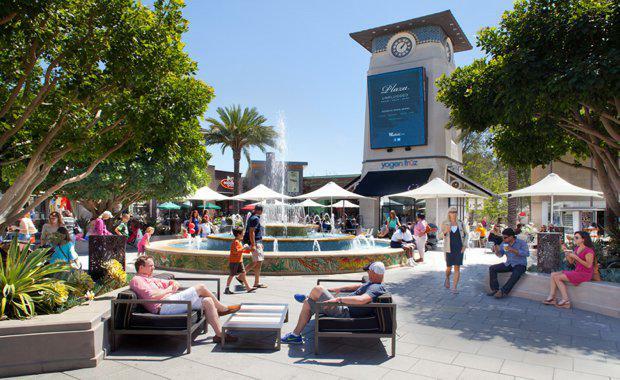 Westfield’s intention is to provide alfresco dining patios, vine-clad building facades with chiseled stone accents, exciting new shops along shady, meandering outdoor lanes, crisp architecture framing breezy upper level views, and seating areas set within lush landscaping.